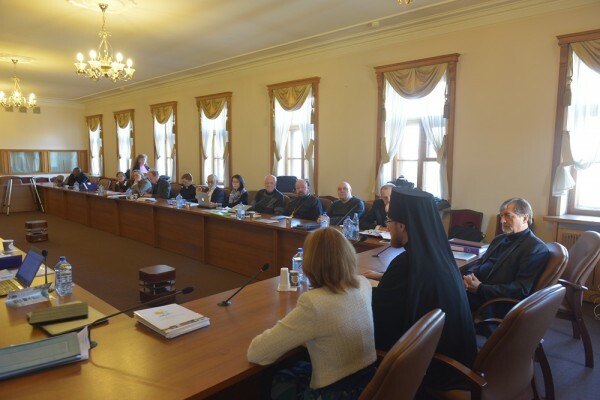 The Global Christian Forum (GCF) committee met for its regular session from February 23 to 25, 2016, at the assembly hall of the Moscow Patriarchate’s department for external church relations (DECR). The Forum was established in 1998 as a platform for open dialogue between major Christian confessions to discuss pressing challenges facing Christians today. The GCF committee, the steering body of the GCF, meets annually in various countries. This year, as was requested by the organizers, the meeting was held in Moscow. The meeting focused on the two issues: evaluation of the World Conference for solidarity with persecuted Christians held in November 2015 in Tirana, Albania, and the planning of the GCF 3d Gathering to take place in 2018 in Latin America. Concerning the results of the Tirana conference, the committee agreed that the protection of Christians persecuted in the world today is an urgent priority for various Christian confessions’ actions to be taken together on the international level. It was also agreed that this problem will be placed on the agenda of the Forum’s next gatherings. Archimandrite Philaret (Bulekov), DECR vice-chairman, welcomed the participants in the meeting on behalf of the chairman of the department, Metropolitan Hilarion of Volokolamsk. On February 25, the GCF committee gave a reception at the Danilovskaya Hotel inviting representatives of various Christian communities in Russia.